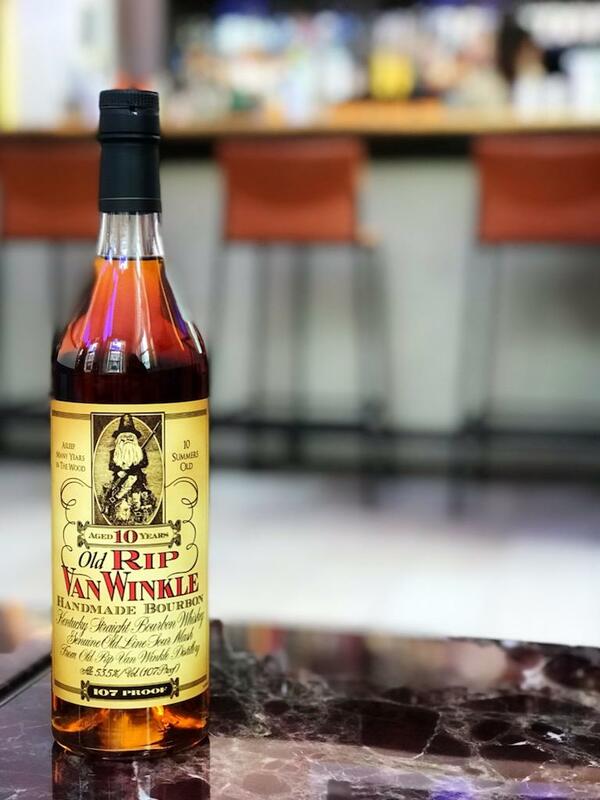 Old Rip Van Winkle 10 year bottle up for grabs at Lockbox in Lexington, KY this Sunday. You could win a bottle of Old Rip Van Winkle 10 Year this Sunday at Lockbox in 21c Museum Hotel in downtown Lexington. They’re asking for your help to end child hunger in Kentucky with their No Kid Hungry Sunday Supper. The restaurant will be raffling off a bottle from Buffalo Trace’s famous Van Winkle line to one lucky (and charitable) diner. Raffle tickets will be sold for a $10 minimum donation, and diners will be encouraged to purchase as many tickets as they like. All proceeds from tickets will be donated to No Kid Hungry. “NKH is an organization near and dear to my heart that is doing really amazing things for youth in need. It’s the time of year when people are naturally in the giving spirit so I figured it was the time to try to do my part to give back. Come have a home cooked meal at Lockbox on Sunday Dec 9th and you’re helping something that is so much bigger than anything we can tackle individually. Fried Chicken, friends and community. That’s how we’ll give back at Lockbox this holiday season,” said Lockbox Head Chef Jonathan Searle. The menu is a classic southern Sunday supper – and it sounds mouthwatering The meal will be served family style and will start with snacks for the table and a shared Farmer’s salad. Then you’ll feast on Chef Searle’s famous fried chicken, complete with country sides like collard greens, mac and cheese, mashed potatoes with gravy, and cornbread and biscuits. And save room for dessertt: there will be banana cream pie and hummingbird cake. On top of the portion of proceeds from dinner, $2 from every Lockbox’s specialty bourbon cocktail “Clearance Clarence” ordered will also go to the cause. Helping out is simple: just make a reservation for this Sunday between 5:30 PM and 9:30 PM, and enjoy your meal.